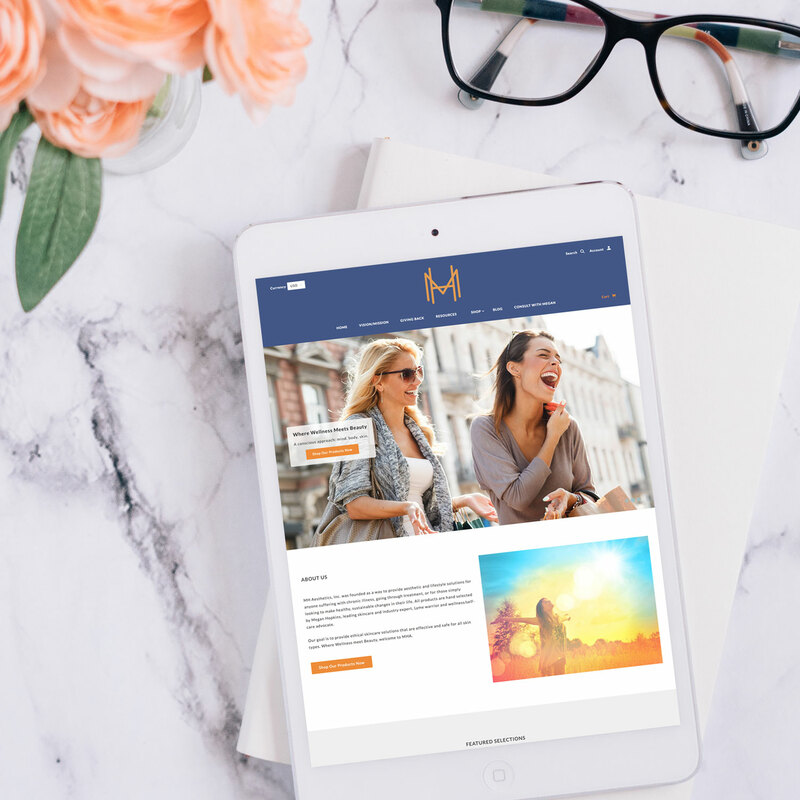 Megan of MH Aesthetics is an amazingly talented woman with an even more amazing vision: through her brand, she provides aesthetic and lifestyle solutions for anyone suffering with chronic illness, going through treatment, and for those simply looking to make healthy, sustainable changes. Powerful mission, right?! 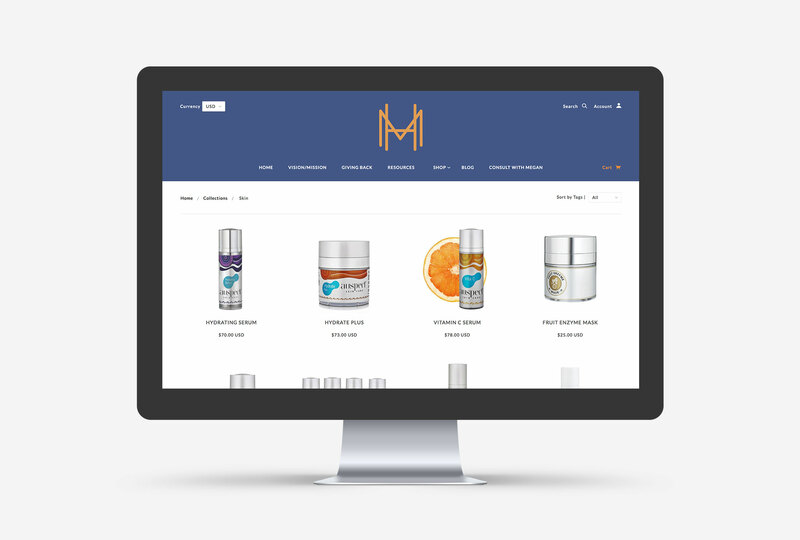 MH Aesthetics was designed and then built using Shopify, as Megan wanted an easy way to continually add in new products and have all of the necessary ecommerce capabilities built right in to the platform. With Shopify, she has instant access to easy order fulfillment, detailed analytics, and the ability to add in an endless amount of products. This is a great solution that she’ll be able to grow with as her business expands! 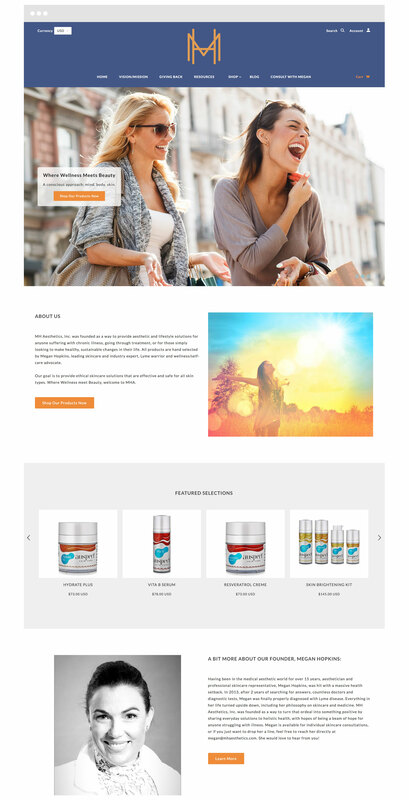 Below are a few quick snapshots of the newly launched MH Aesthetics Shopify website. Click here to view the full site.